A difficult climb in the beautiful Swaledale valley of the Yorkshire Dales. The climb is steep (15%) as you leave the valley. After 0.8 miles, you reach the first summit, and there is a significant downhill as you cross a beck. In fact the descent is quite steep – up to 10%. You can pick up a bit of speed, but there is a right hander over a ford and once you cross the ford, the climb begins again. The second part of the climb is not as steep, and near the summit, there is a second downhill section, before the final push for the line. The net height gain is 186m, but the total height gain is greater because of the downhills. It’s a climb which will have you in all gears from lowest to highest. A classic variable Yorkshire Dales climb. Swaledale. Turf Moor is to the north of this beautiful valley. The climb takes you towards Langthwaite. From there you can turn right towards the Stang, or left to take on Tan Hill. Alternatively you can head back towards Grinton and Grinton Moor. There are no shortages of great climbs in this part of Yorkshire. 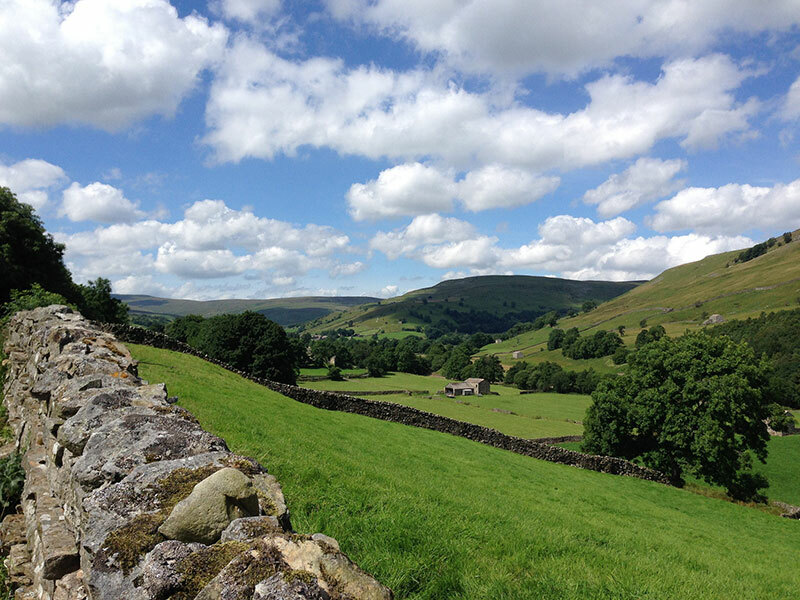 Swaledale is usually quite quiet, it is a bit off the beating track for most tourists. If you’re in good shape, you can have great fun cycling the climbs around hear, which also include Buttertubs pass and Oxnop Scar.